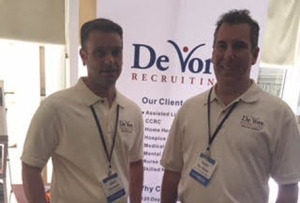 At De Vore Recruiting, we bring a combination of expertise in the healthcare field, along with many years of recruiting knowledge, to find our clients the best candidates possible, and place our candidates in the best possible jobs. Through our nationwide network of offices, DeVore's Administrative Staffing division matches qualified professionals to exciting job opportunities. We rely on innovative recruitment methods to place professionals who align with our clients' specifications We understand a client's need for highly qualified and expertly trained medical professionals. With access to thousands of medical and administrative professionals across the country, DeVore is able to quickly fill medical staffing requests with the most qualified personnel.